Homeowner calls me for a copy of the submission form and I send PDFs. I go over in person to retrieve the paper copies of the forms. I scan all files and email to all Board members for review. One Board member votes to approve in email thread…another follows suit. I send follow-up email to all Board members reminding that a vote is required from each member before a final decision can be made….I get one more vote. It’s the holiday season, so half the Board is out of town or not checking emails regularly. I send text messages to the stragglers to vote…I get two more votes. I call the last holdout for a vote and finally have all seven votes in……universal approval. I draft the approval letter, copying and pasting language from letters sent to other homeowners with similar requests. Homeowner logs into their portal account and adds a new architectural plan, including photos, technical specs and other documents, contractor information, and description of the plan. Submission of the plan by the homeowner triggers an email notification to each board member. Board members log in to the portal and within a few clicks can review and cast an up or down vote. All discussion in the review process takes place in the portal via private forum, visible to Board Members only. I log in and cast a final vote as the Chair, which automatically triggers the production of the decision letter by combining a form template with plan details and final vote information. The letter is sent via email and snail mail automatically from uManage. 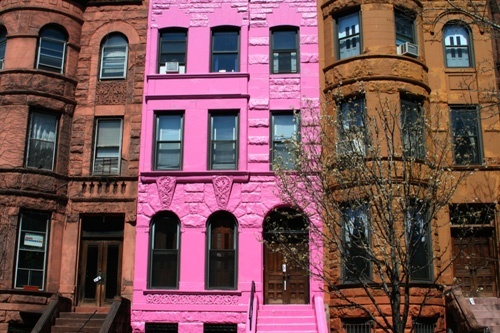 Taking our architectural review process online with eUnify saves Board Members time, helps us stay on top of incoming proposals so we don’t miss deadlines and end up with a Hello Kitty pink house in the neighborhood, and helps us to treat proposals in a more uniform way.